A good way to relax is to head to the salon and indulge in some time to take care of yourself. This is also a good way to get some me time which is sadly lacking in today’s fast paced urban life. So when I had an opportunity to head to Limelite Salon & Spa I immediately decided to take time off for myself. 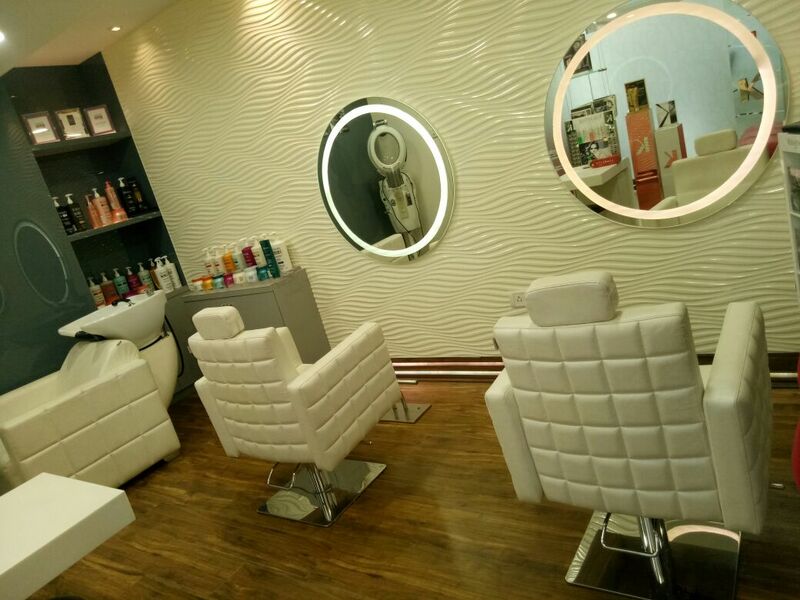 Limelite has a simple mantra – ‘Feel like a star’ and the service is top notch with experts who are trained to offer expertise in high fashion hair-cuts, makeovers and luxury spa and salon experiences. And indeed at their Jayangar salon in Bangalore, I get a taste of this first hand. Dressed in resplendent red and white, the brand’s colours, the salon is at its swankiest best replete with a premium interiors and equipments. The hair section is designed to be edgy and stylish with a lot of bronze glass with elements in red reflecting a style high mood. 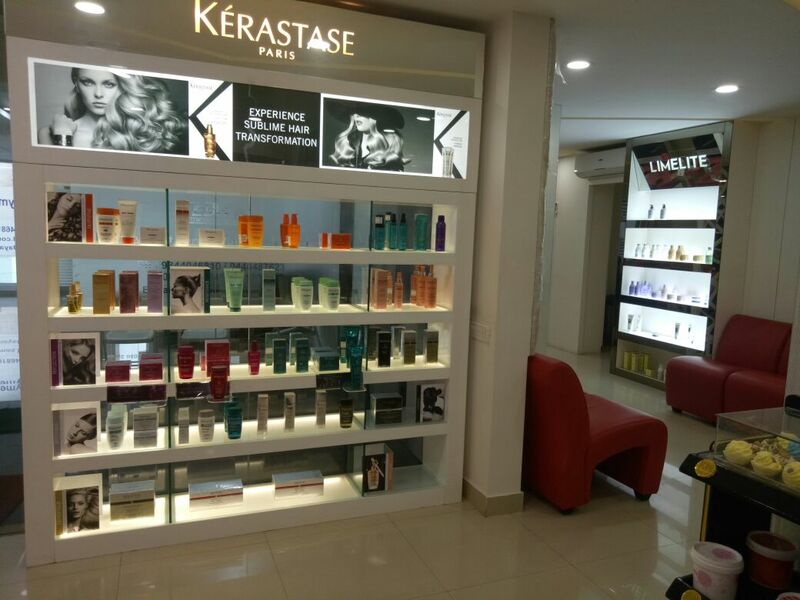 The Kerastase hair care studio, VIP studio and the treatment rooms which are private individual use areas are designed with bright white 3D decor boards and simple beige wallpapers setting an elegant yet serene mood to the customers to relax with their relaxing hair care and skin care services. I first started with a Kérastase Hair Spa and my therapist Bhavya led me to the exclusive Kérastase zone and started with a detailed examination of my scalp. Using the Hair and Scalp Profiler, the Kérastase diagnostic camera that zooms into the hair up to 600 times, the first was a scalp evaluation which in my case was normal. She also checked factors like density of the hair, hair thickness, hair health and explained that the condition of the hair determines the choice of concentrate and the custom needs of the guest determine the selection of the booster. In my case the K Profile a little card that details the examination details listed my primary hair concern as dryness and I was suggested the 60 minute Intensive Nourishing Ritual. After washing my hair using the Bain Chroma Captive Shampoo, Bhavya mixed the concentrate with the Fusio-Dose, a ritual that can be added easily to any Kérastase salon service such as hair colouring, cutting or styling. After spraying the same in sections on my hair, a light massage is given. Then the entire hair is coated with a mask, in my case the Kérastase Nutritive Masquintense was used. This was followed by a deep a special Kérastase massage that was deeply relaxing. I was explained that the special techniques used are intended to improve blood circulation and relax muscles. After this my hair was rinsed with water and a leave in anti frizz conditioner and Elixir Ultime oil was applied leaving my hair feeling soft and healthy. After my luxurious hair ritual I headed to the manicure – pedicure station and my therapists Suma who did the pedicure and Ram who did my manicure were waiting for me. As I was having a busy day I opted to do it simultaneously and I opted for the ice cream manicure and pedicure by UK based Bomb Cosmetics. The very edible looking products look like cup cakes with ice cream and the soaps, creams and scrub smell heavenly. The cup cakes are dipped into warm water where the feet and hands are soaked and in 15 minutes melt completely releasing essential oils that hydrate and nourish the skin. Post removing the dead skin, a fragrant sugar scrub is rubbed on my feet and my hands have a smooth strawberry kiwi scrub that removes all the dead skin. After this a hydrating clay mask made with jasmine and green tea is applied and a cling film is wrapped around the hands and legs to allow the mask to release its oils. The last step is massaging a shea and cocoa butter cream, loaded with Vitamins A, C and E that is creamy. This is mixed with what looks like candle wax but I am told it is actually peppermint essential oil that gives the skin a lovely glaze. I am then offered a range of nail polish to choose a colour and Suma painstakingly applies two coats of nail paints and finishes it off with transparent gel paint. Post the ritual I had soft and supple looking hands that I really could not stopping gazing at and admiring at my feet and legs. Signature Treatment: Luxury Hair spa from Kerastase , Facials – Divine White , Grand Luxe lightening facial, Signature Ice cream manicure and Pedicure services . Timings: 10 am to 9 pm for Men , 10 am to 8 pm for Women . Address: No.126,33rd cross road, 11th Main, 4th block, Jayanagar, Bangalore – 560011.